The weather continues to be beautiful with no wind to speak of and sunshine. The waves also continue to be small so I headed about 15 minutes up the coast to Arch Cape in search of more interesting waves. I have to admit, this painting was quite a stretch and I was tempted to pack it in before finishing it. I dug deep and hung in there. 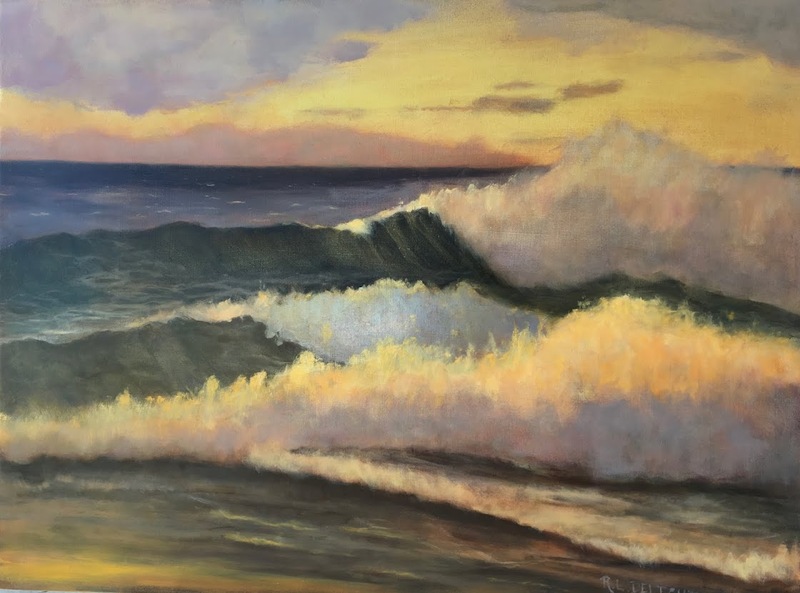 This one was challenging to me since I had the large rocks, shadowed water, and roiling waves all going at once. I made a thumbnail sketch before starting but somehow deviated greatly from it. It isn't the first time I have done that and it gets me into trouble. I think I will have to remember the lesson to avoid some of the future struggles. Since I deviated I ended up putting breakers where I didn't intend too which made it harder to put them in on top of paint. I did wipe off as much as I could but the blues got everywhere. It all worked out in the end but I think it would have been much better if I had stuck to the plan. I got there at low tide so it was coming in as I painted. It was getting a bit uncomfortably close as I was packing up and I am sure as I am writing this that my spot is now washed away as high tide is a little after 5 pm today. In addition to painting at Arch Cape today, I made a video of the journey! I have the raw footage and will put a short video on the blog once it is edited. Of course, with this challenge going on it might have to wait until February. I plan to make a few short videos as the weather is so wonderful. It is also a lot of fun. I had to wait for the last two wave studies to dry a bit before tacking them to the bulletin board to take pictures. Speaking of drying, I am running out of places to put my little paintings to dry! I am going to have to do something about that but not this evening. 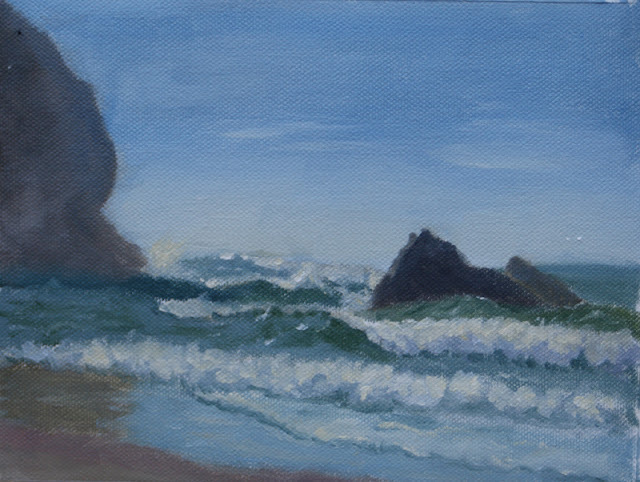 If all goes well with weather and tides tomorrow I plan to get to my very first favorite spot, Hug Point to paint. I will take pictures to show you all too!